When Daily Grommet intern Claire Lorman hit the streets to test some headphones, she got stopped twice, first by a teenage cyclist and later by a twenty-something woman in a coffee shop. The mod headphones that got all the attention are from Aerial7, a design-savvy headphone maker influenced by DJ culture, streetwear, art and extreme sports. Aerial7’s Tank headphones bring the sound to match their hip looks, from low, rumbling bass tones to crisp highs. 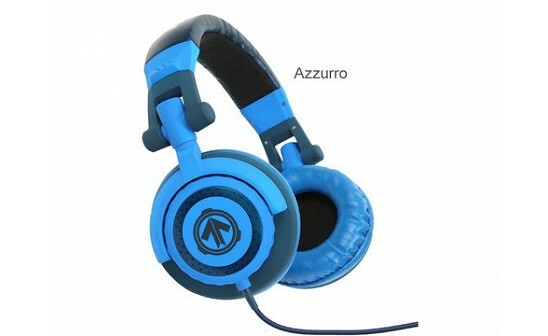 Thick cushions comfortably cocoon your ears, and the ear cup swivels so you can listen to music with one ear, DJ-style. The headphones come with two cables: a thick coiled cable for standard music players, and a thin, straight cable with a built-in microphone for use with an iPhone, BlackBerry and other cell phones. Claire loved the Tank’s noise-canceling features, which make it easy to listen to music and tune out the other commuters’ conversations. You don’t have to be a teen or twenty-something to appreciate these headsets, but if you’re looking to turn the head of someone in that age bracket, Aerial7 can bring the noise. My name is Shannon Godfrey and we are so excited to have Daily Grommet feature our AERIAL7 Tank Headphones. AERIAL7 was founded on the idea that great sound can be combined with eye-catching design. 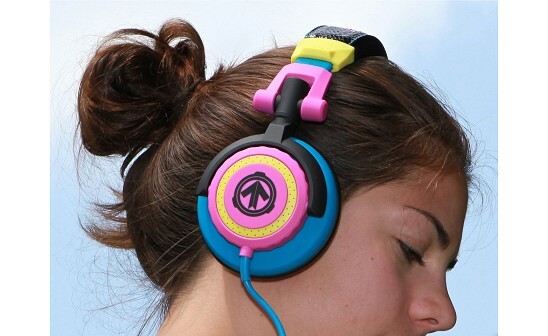 Our headphones are influenced by our devotion to DJ culture, art, streetwear, fashion, and action sports. I am excited for you to check out our headphones and I look forward to answering any questions you may have. These have so much hipness! The extremes in listening devices available on the market is funny - you have the earbuds that are so minimal they mostly disappear from sight to the absolute opposite that stand out and say "I'm lovin' my tunes right now." The designs of these are pretty cool. Do they have noise canceling technology? 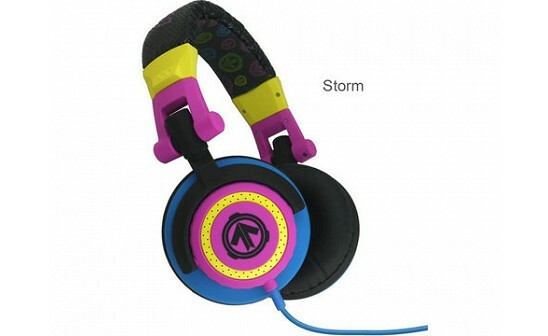 @Drew - Our tester Claire found them to cancel out the noise of the outside world. As far as the specific technology, Shannon will stop back in a few to respond to that. Thanks! @Drew- the technology used isn’t 100% noise canceling, but the way the low end comes in, it makes up for it. My friend and I just traveled across the country last week wearing our headphones on the plane. We watched an entire movie without any interruptions and the sound was so amazing I almost forgot I was in a plane! The thick cushions cocoon your ears, which also help blocking outside noise. Thanks for the question! 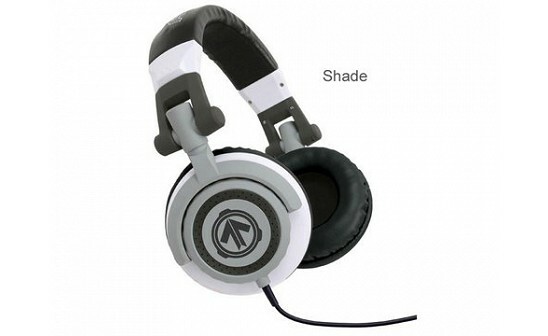 The Aerial 7 headphones did not work out for me, but the reasons were more my own than those of the product. I am very used to earbuds. So I found the headphones, though cushy and comfortable, to be way too warm, especially during exercise. Also, they did not fit me well. I have a relatively small head so even adjusting for the smallest size did not work for me. Finally, I have gotten VERY used to Apples' on-phone-plug volume and song change control. If my problems don't resonate with you, you'll probably like the Aerial 7's. They're well made, very attractive, and block out about 50 of the sound around you — 100% once you turn your own music or video on. @Connie - thank you for stopping back and sharing your experience with these headphones. I'm sure it will help someone else determine if these are right for them! It is wonderful that it is uniquely flashy that it really catches everybodys attenetion. My Son and I share the headphones, and once we put it on it'll surely stay with us for quite a while. We love it. When Daily Grommet intern Claire Lorman hit the streets to test some headphones, she got stopped twice, first by a teenage cyclist and later by a twenty-something woman in a coffee shop. The mod headphones that got all the attention are from Aerial7, a design-savvy headphone maker influenced by DJ culture, streetwear, art and extreme sports. Aerial7’s Tank headphones bring the sound to match their hip looks, from low, rumbling bass tones to crisp highs. 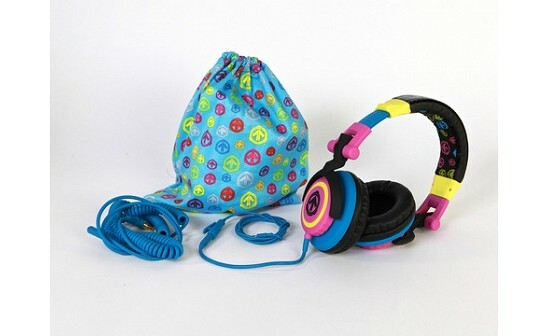 Thick cushions comfortably cocoon your ears, and the ear cup swivels so you can listen to music with one ear, DJ-style. The headphones come with two cables: a thick coiled cable for standard music players, and a thin, straight cable with a built-in microphone for use with an iPhone, BlackBerry and other cell phones. Claire loved the Tank’s noise-canceling features, which make it easy to listen to music and tune out the other commuters’ conversations.